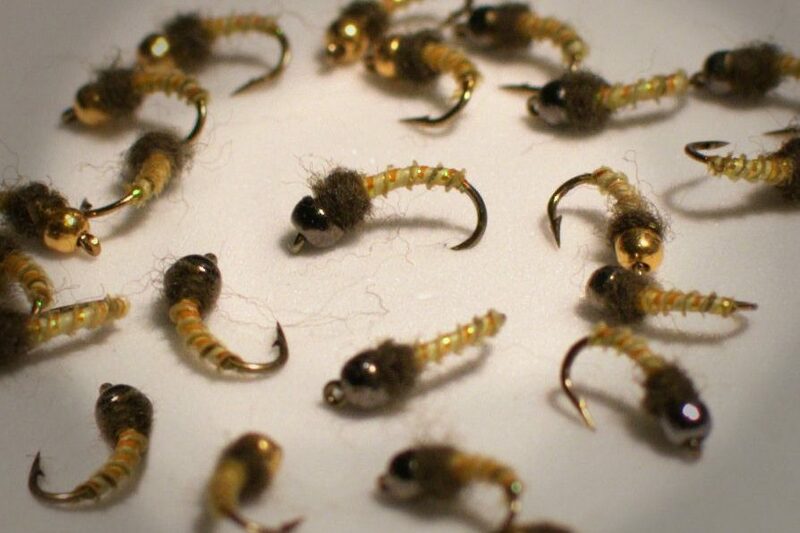 I’ve already covered the 5 Essential Dry Flies Every Western Fly Box Needs, but no fly fishing arsenal would be complete without a good set of nymphs, too. While some of the dries mentioned were more generic in what they imitated, more of them were fairly specific at least to the order of insect (mayflies, caddises, etc). Some nymphs, like midges and golden stones, do represent a specific order or family. But, many are able to represent a whole slew of insects, and in my opinion, that’s what makes these nymphs essential. The beauty of every fly on this list is that you can tie one on in nearly any nymphing scenario in the west and have luck. Instead of having to match the hatch, you can throw two or three at a time to cover your bases and see what the fish are into. If you plan to nymph the west at all, make sure your box has a variety of sizes of each of these flies, and you’ll be set. Red quill P-tail. I quite enjoy tying mayflies over anything else. This is probably my most-used fly on the list. The Pheasant Tail, unlike some of the others on the list, generally does represent a specific type of bug, the mayfly. And it looks fairly realistic, too. What’s nice though, is that it doesn’t necessarily imitate a specific type of mayfly, so it can be fished well throughout the spring, summer, and fall. Even when I know what specific type of mayfly should be hatching that day, I’ll often tie a Pheasant Tail on the top of my rig, followed by something smaller and more specific, like a BWO or PMD nymph. In this case the Pheasant Tail can act both as an attractor fly and the main course. 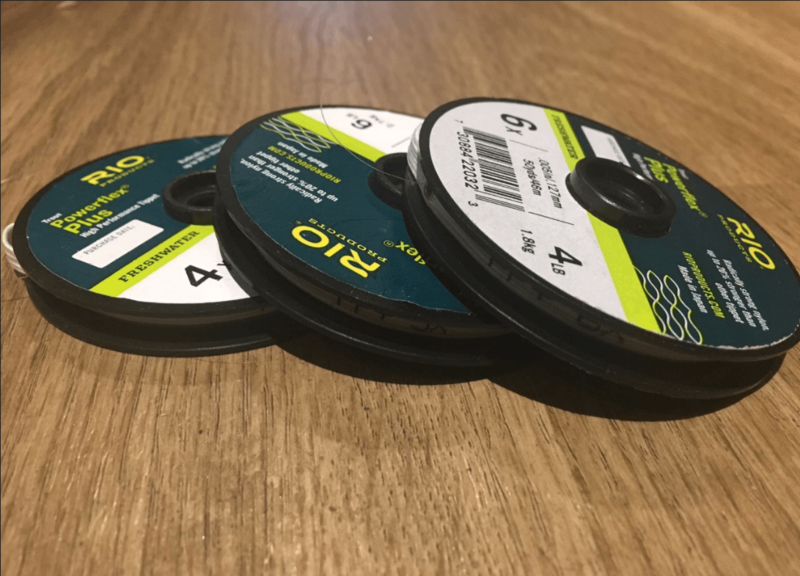 This is definitely one of the must-haves in any fly box. Generally fished as a stonefly nymph, the Prince Nymph could also be a chubby mayfly, or something that just flat-out looks tasty to fish. Prince Nymphs are usually pretty heavy, so they do a good job of getting your rig down into the zone where the fish are feeding. Sometimes I’ll put a very small one at the end of my rig, but more often I’ll put a really large one at the top. This lets me get my smaller flies down deep without having to pile on the split shot. Nearly any nymph rig out west can benefit from having a Prince added into the mix. Make sure you have a wide variety of sizes on this one. #copperjohn with all my orange stuff but the @stealthflyproducts and skin are still black as night. The Copper John is one of the more versatile flies on this list. I think it looks the most similar to a stonefly, but it also seems to work just fine as a mayfly nymph. The Copper John is a very “safe bet” sort of fly. When you don’t feel like lifting up rocks, checking hatch charts, or seining bugs, the Copper John will always pull through. I can’t count the number of times I’ve put two specialty flies on a rig along with a Copper John, only to pull in fish after fish on this fly alone. It also works great stripped through lakes and ponds, or used as a stillwater dropper. It will entice anything from spooky trout in alpine lakes to bass and panfish in your backyard pond. 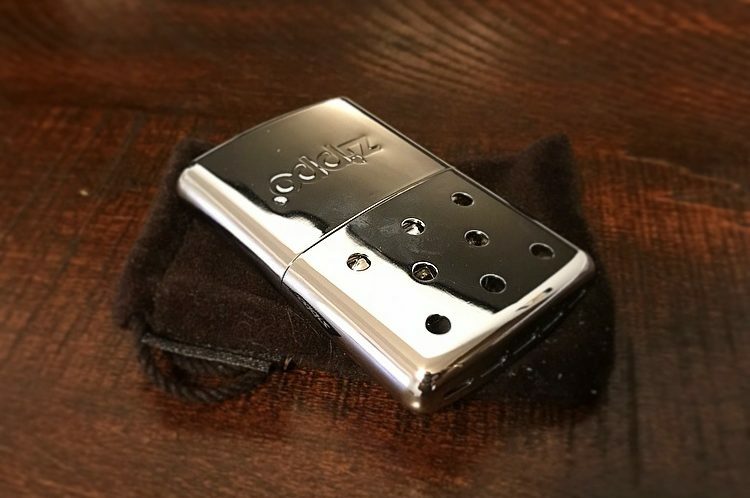 This is a fly you don’t want to leave home without. In my opinion, this is the most adaptable fly on the list hands-down. While the Copper John is a fantastic fly that can be either a stonefly or a mayfly, the Hare’s Ear plays the role of stonefly, mayfly, caddis, and yummy miscellaneous bug all at once. This fly truly covers the range of common aquatic insects more than almost any other nymph out there. It’s a true jack-of-all-trades, and will often be the fly that catches fish when nothing else will. 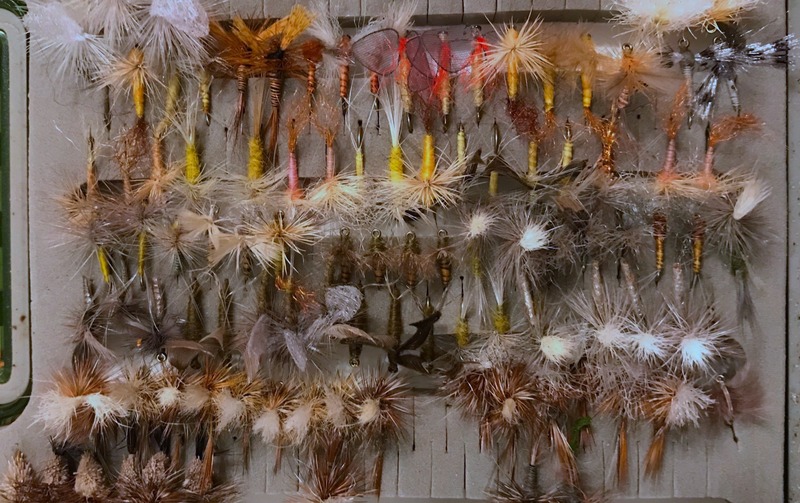 If you are intentionally trying to fish something more specific like a mayfly, something like a Pheasant Tail might be appropriate, but when you want to cover all your bases at once, nothing can beat the simplicity of the Hare’s Ear. Although it’s a pretty specific imitation, no box would be complete without a ton of tiny midge patterns. Even though the other flies on this list shine in the warmer months, the beauty of the midge is that these insects hatch year-round. Whether you’re fishing the frigid temperatures of the winter, or a scorching summer day, this fly will work. It’s also helpful to have something that’s generally smaller than everything else on the list. Sometimes picky fish aren’t looking for something big and buggy, but rather something tiny and simple. I’m still astonished that fish are actually able to see something as small as a midge. But time and time again, they do. If you show up without a handful of these guys in your box, you’ve made a terrible, terrible mistake. What are your favorite nymphs? Any that you would consider a must-have? Let me know in the comments!